The 2019 FRU Summer 7s tournaments and dates have been confirmed. This summer will see the traditional (4) tournaments hosted with the addition of the Indian River hosting for the first time the Shipwreck 7s in Sebastian. We hope by going back to our more traditional summer structure all the tournaments will see improved participation at their events. There have been some slight changes to Qualifying Tournaments dates to allow for better participation within the Qualifying process. The two Southern Conference Qualifying tournaments are now a month apart and the start of the qualifying season has been pushed back mid June rather than the beginning of June. The Southern Conference receives (1) seed for the Men and (2) seeds for the Women’s teams to Nationals in August. The seeds are determined by a two tournament series, the team with the highest series points after the 2nd tournament will receive Southern Conference’s seeds to Nationals. Teams wishing participate in the Qualifying Division of Qualifying Tournament must enter both tournaments. The tournament entry fee for the 1st tournament will include the entry fee for the second tournament. 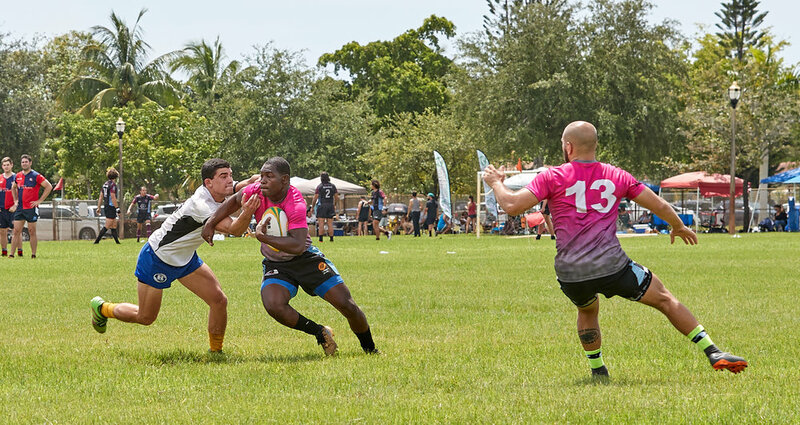 To play at Nationals, players must have played in at least one qualifying tournament, as well as one other rostered tournament during the 7s season (Florida has nominated Fiji 7s & Shipwrecked 7s to be our additional rostered tournaments).